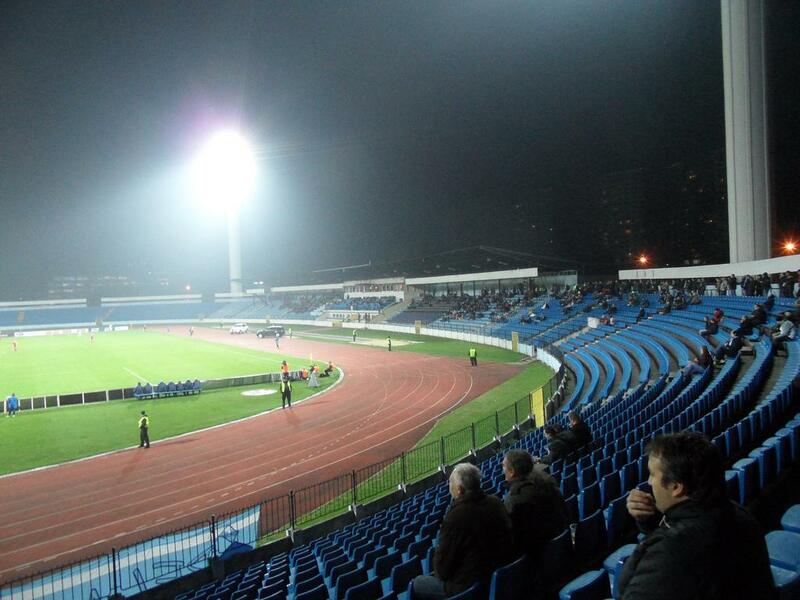 Pasienky, translated literally as Pasture, is one of the most famous stadiums in Slovakia. 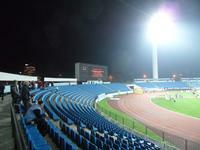 It’s located just a few hundred meters from the national Tehelne pole. 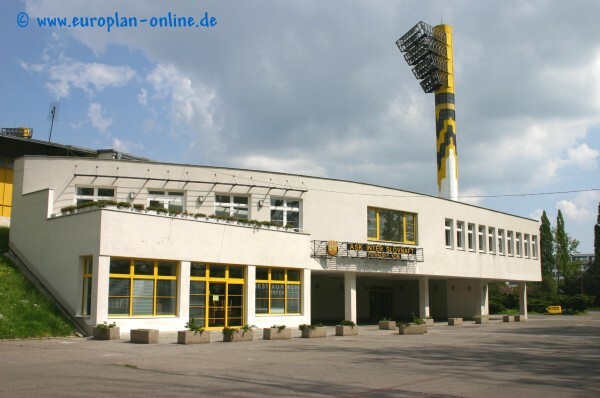 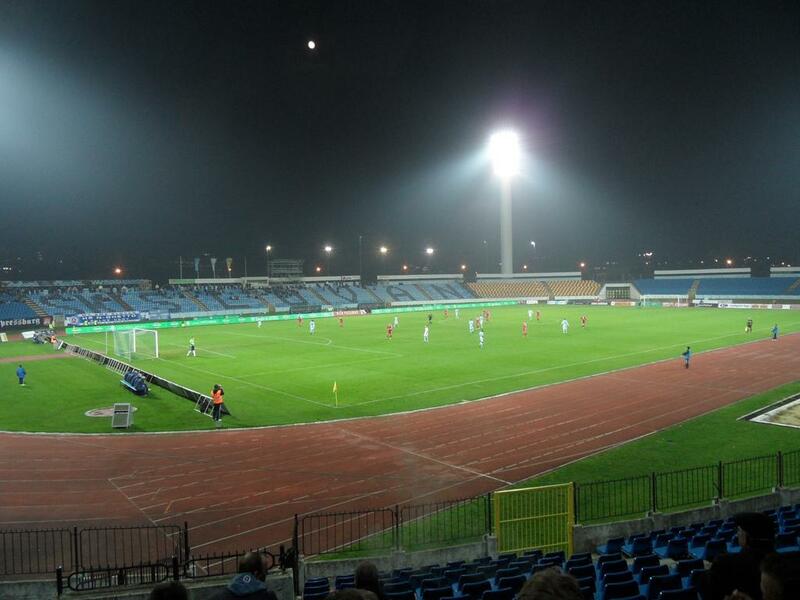 Built in 1962, it was the home ground of Inter Bratislava for most of its history, but that changed in 2009 when Inter merged with FK Senica and moved out of Bratislava. 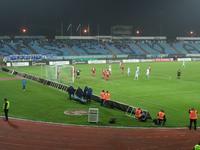 Slovan is the new host and just after taking over they changed all seats to present the blue colours and name of Slovan. 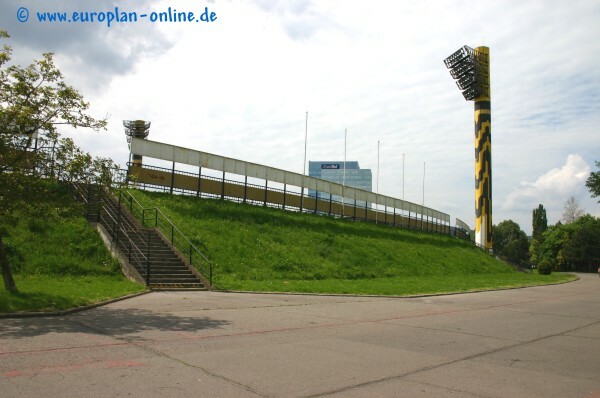 Initially it could accommodate over 20,000 people, but as seats became more and more common capacity fell to 13,000. All stands apart from the main one are raised on artificial hills and encircle the pitch with athletics track. 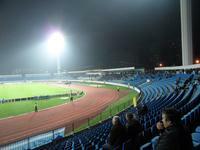 In 2000 the venue hosted Euro U21. 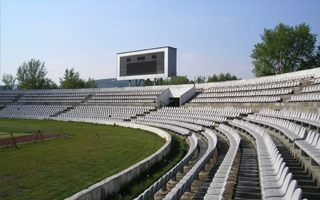 It was also the place of numerous concerts, to name just Metallica, Carlos Santana, Depeche Mode and Kiss. 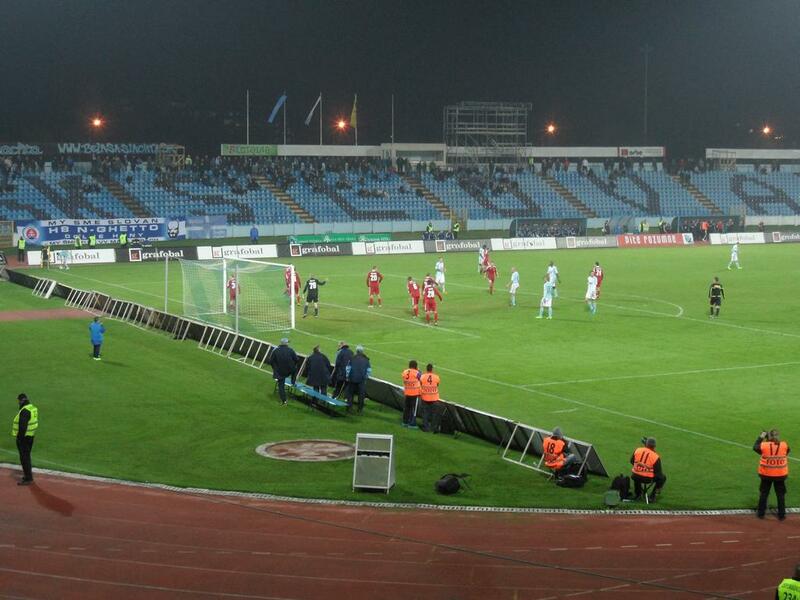 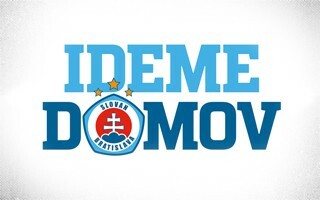 After 3,303 days “in exile” Slovan Bratislava is ready to return to its spiritual home, the new national stadium. 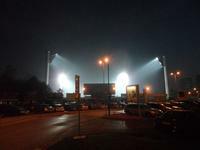 First game will take place on March 2 and will see the grand derby of Slovakia against Spartak Trnava.